Canada’s Samantha Cornett became the second qualifier to claim an unexpected place in the last 16 of the Penang CIMB Women’s World Squash Championship when she upset Line Hansen, the 16th seed from Denmark, in today’s second day of first round action in the premier Women’s Squash Association (WSA) event at the SPICE Arena inPenang, Malaysia. “The feeling is great, just great,” said the world No38 from Ottawa after her shock 11-5, 11-7, 11-7 win in 32 minutes over the higher-ranked Hansen. “I don’t know what else to say. I almost cried to be honest. “I’ve never really thought about making the top 16 and I didn’t have the best results prior either. “I know I felt confident and comfortable as the match went on. But I’ll probably have to change my flight now because I’m supposed to fly home on Friday,” added Cornett, now North America’s sole representative in the last 16 round. The 23-year-old will now face local star Low Wee Wern, the No6 seed from Penang who will join fellow Penangite Nicol David in the second round after seeing off Australian Donna Urquhart. Urged on by the partisan crowd, Wee Wern – who has struggled for some form lately – was slow off the blocks but returned strongly for an 11-7, 11-6, 11-8 win. Urquhart who was once ranked as high as No13 in the world, only really came into the match in the third game, as she held an 8-7 lead over the Malaysian. Wee Wern, who turns 24 in July, however regained her composure for four straight points before sealing her ticket into the top 16. “The score seemed easy but it was never easy with Donna. We’ve had some close matches in the past and I had to be really on my toes at all times,” said Wee Wern. “I was actually trying to go for a 3/0 win instead of staying on court longer because I wanted to be as fresh as I could for the next round. 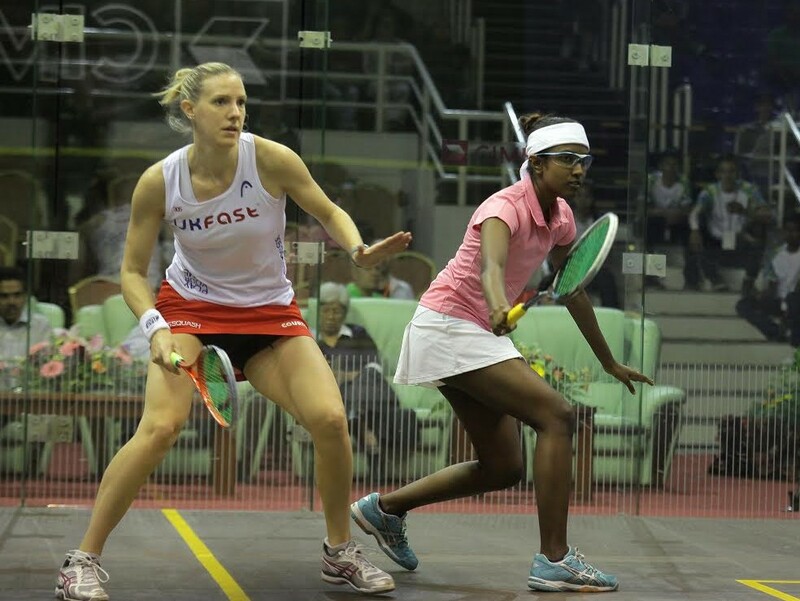 There was however no such joy for Malaysian junior Vanessa Raj who just seemed to enjoy the occasion despite losing to world No2 Laura Massaro. The 18-year-old Vanessa, also from Penang, received a wildcard to compete in the main draw and gave a creditable performance despite losing 7-11, 4-11, 1-11 to the second-seeded Englishwoman. 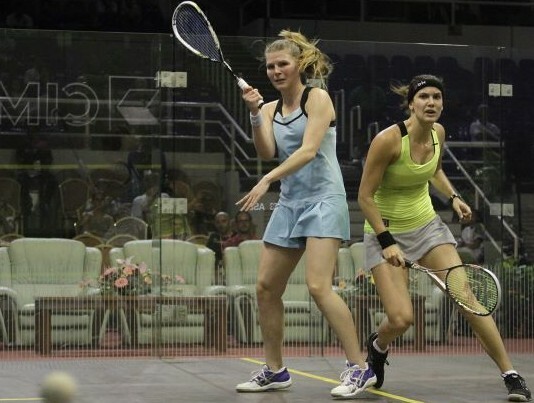 Massaro will go on to meet England team-mate Jenny Duncalf in the second round. Duncalf, the former world No2 who played alongside Massaro when England won the 2001 World Junior Team Championships in the same arena, was sublime as she eliminated Kiwi qualifier Megan Craig 11-8, 11-4, 11-3. 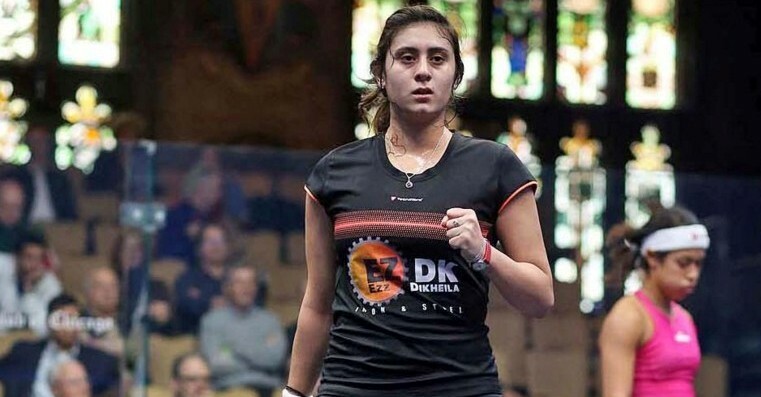 Egypt’s third seed Raneem El Welily; seventh seed Madeline Perry, from Ireland; India’s 10th seed Dipika Pallikal; and 15th seed Sarah-Jane Perry from England all made the second round in straight games. The Perry pair (no relation) will meet each other for a place in the quarter-finals.